The University of Roehampton in London, England has announced that it will be offering scholarships for students who demonstrate aptitude in the growing field of competitive gaming. The school says that the scholarship is the first of its kind for a London university. The university plans to offer ten eSports scholarships to students enrolling in 2019 and the awards will become part of the school’s “Sport Roehampton Scholarships Program.” The scholarships are open to both undergraduate and graduate students in any major, and they will be worth £1,500 or US$1,765. Scholarships will be awarded for the duration of the student’s three-year degree program at Roehampton (or equivalent if studying part-time). Upon successful registration to the program, students will meet with the Sport Roehampton Manager for an initial meeting to agree to the scholarship amount and payment details, usually split across two payments through the year. Each scholar will receive support to help in achieving performance and academic goals. 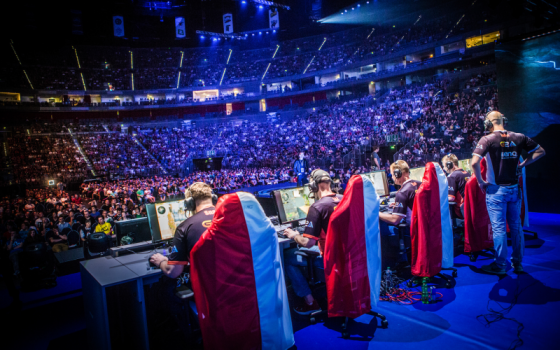 According to the school, students applying for the scholarship will need to “demonstrate aptitude in the field and in common with other sports scholarships available at the University.” In addition, “successful applicants over the coming years will be required to display their commitment to eSports alongside successful academic progression,” in their chosen field. Just a few options include Digital Media, Film, Journalism, Mass Communications, Photography, and Creative Writing. In a University of Roehampton press release about the eSports scholarship program, Registrar Mark Ellul said, "this scholarship is about recognizing talent in a field that has a growing popularity both around the world and among our students. The University of Roehampton already has a successful sports program, underpinned by financial and coaching support for students who excel in their chosen field, and this new scholarship is a natural progression from that as we seek to develop our wider offering in eSports." The scholarships will be coupled with the development of eSports at the University, including new facilities and a student society. University of Roehampton, which already has a gaming society, plans to launch its eSports team in 2019. University of Roehampton is a collection of four colleges established in 1841 (Whitelands College), 1872 (Southland College), 1874 (Digby Stuart College), and 1892 (Froebel College). The four schools joined forces in 1975 to form Roehampton Institute of Higher Education, which later became University of Roehampton. The school, which serves more than 10,000 students from over 140 countries, houses 11 academic departments that offer dozens of programs in the arts, business, law, science, education and more. Lipinski, Dominic. “University of Roehampton to offer eSports scholarship.” ITV, ITV, plc., 09 Jul. 2018. Web. 30 Aug. 2018.